Allow us to introduce Kingdom Mattress Factory. We are a local, independent, manufacturer of quality mattresses and box springs. 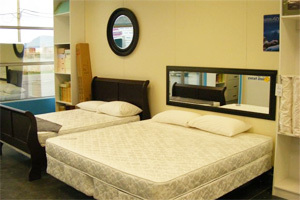 Kingdom Mattress Factory along with its preceding company has been in business for 20 years and the staff has 25 years of combined experience. As a small manufacturer we have the ability to tailor our product to meet your specific needs. We use quality materials to ensure that you get the product you want, and your patrons get the sleep you want to give them. As an example of what we can put together for you consider the following. A queen size mattress set consisting of a spring core with a 390 coil count, 13 gauge steel which provide an excellent combination of strength and support. The springs are then topped with fiber pad, a layer of foam to provide comfort, and a quilted damask cover to finish it off. Situated on a Semi Flex foundation to maximize mattress performance and durability the mattress set is complete. You need to consider choices when looking for a mattress. 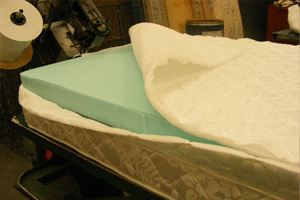 The standard innerspring mattress has a "core" of steel springs, surrounded by padding. There are several variable features in a standard mattress. Firmness: A mattress' firmness is based on the consistency of the padding and springs. Standard ratings for firmness are Firm, Medium (or Plush) and Pillow Top. Back experts differ over whether or not a firm mattress is better for your spine. One perspective holds that the best mattress is one just firm enough to keep your spine straight while you're lying on your side. A scientific study has shown that a medium-firm mattress can help alleviate lower back pain. Unfortunately, firmness varies from brand to brand, so you can’t always expect a "Firm" of one brand to be just as firm as that of another. What's important is that the firmness of your mattress matches your needs and tastes. The best way to gauge that is just to test it out. Ticking: The ticking is the surface material of the mattress. Though you will be throwing a sheet over it, the ticking can affect your comfort. A mattress with all-synthetic ticking (such as polyester or vinyl) may not "breathe" enough, leaving you warm. Coils: Coils are the metal springs in the mattress. According to Consumer Reports, a Queen sized mattress should contain at least 390 coils. There are enough variables in the way coils are constructed to make the number of coils less important than it seems. There is at least one clear distinction in coil construction: whether or not the coils are made of tempered steel. Tempered steel is more resilient, and therefore should lend the mattress a longer lifespan. 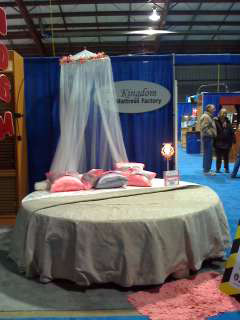 Come and check out one of own custom mattresses today!